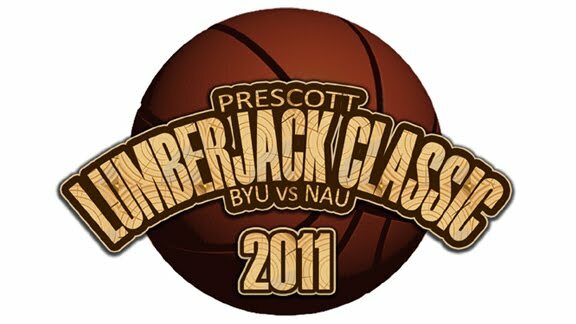 Northern Arizona announced the Lumberjack Classic, a game featuring Northern Arizona vs. BYU, taking place in Prescott, AZ (which, if you are wondering, is about a couple hours SW of Flagstaff). The Lumberjacks haven't played a game of this magnitude so close to home since 1990 when they fell to the second ranked Arizona Wildcats in Flagstaff. "We are excited to play in Prescott for the second consecutive season against a quality BYU team that had a great run in the NCAA Tournament this past year," said Adras. "It should be a great game for us to play a school that has a lot of fans in the state of Arizona. It will be an exciting game in a beautiful venue." BYU has become a huge draw in the Post-Jimmer Era, and so this should draw a good crowd gathering, especially with the promoting he seems they are doing for the event. In an environment where it is tough for Big Sky teams to schedule solid home games, this should be one of the more-interesting non-conferences games of the season for Big Sky teams.